Naval architecture is the heart of our business. 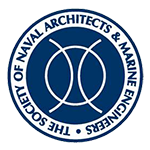 The science of naval architecture centers on hull design. This includes the hydrodynamic and hydrostatic characteristics of the hull, as well as a hull’s structural and functional arrangements. Naval Architecture calculations include strength and stability analyses, as well as resistance and performance prediction studies. 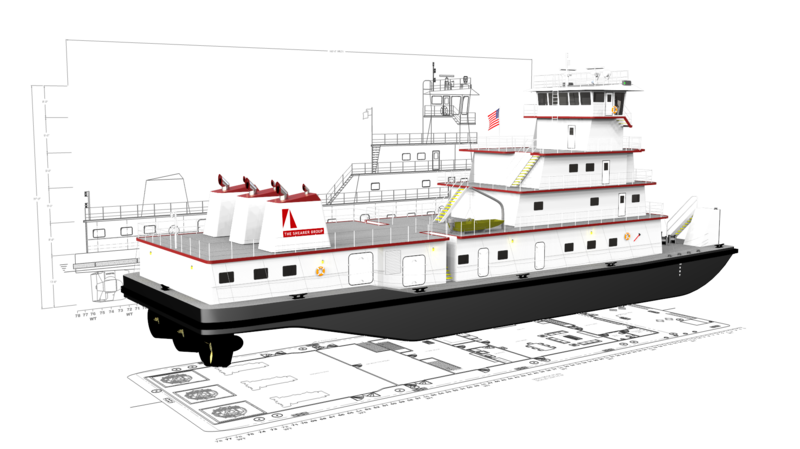 Many other design and engineering efforts required for vessel construction including Engineering Analysis and Marine Surveying are also performed by The Shearer Group, Inc. The Shearer Group, Inc., naval architects are intimately familiar with the current American Bureau of Shipping Rules and U. S. Coast Guard regulations for barges and towboats. The Shearer Group, Inc. was involved in critiquing the U.S. Coast Guard’s rule for inspection of towing vessels (known as “Subchapter M”). The Shearer Group is working on training and certification of in-house Auditors and Surveyors to work with our clients on attaining Subchapter M compliance. 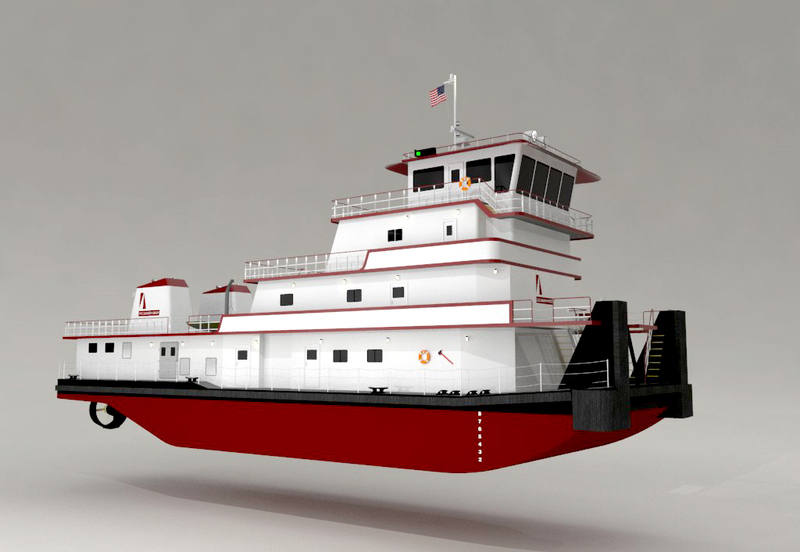 Involvement with the implementation of Subchapter M positioned The Shearer Group well for incorporating the requirements of the regulations into our towboat designs and for consulting with existing owners and operators regarding modifications that they may want to make to their vessels to bring them into compliance. The Shearer Group, Inc. utilizes state of the art computer modeling and design tools in concert with time honored design practices to develop innovative and functional designs that meet our customers’ diverse requirements. We use a variety of design and engineering software including, AutoCAD, Rhino, Autodesk Nastran, FEMAP, GHS and NavCAD. TSGI also utilizes STAR CCM+ to perform computational fluid dynamics (CFD) analysis . As an example, combining CFD analyses using STAR CCM+ with our extensive experience with inland towboats, we have developed an optimized stern for increased flow through the propellers, which is the heart of a towboat design.